Hi all! I wanted to pop in and share a new solution I have for storing Mini Distress Inks - I love this storage solution!! And, it is very affordable for crafters on a budget! I purchased the container at my local Wal-Mart - it is by Darice, and it has 32 slots! 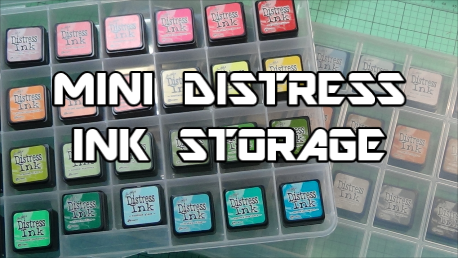 I have two and once all of the mini distress inks are released, I will have two full cases!! Check out the video for more information! Happy first day of Fall!! It is always better to hire storehouses that are near their houses or offices, especially if they need their belongings to be accessed very often. The interconnection of information processing capacities enables organizations to develop a common memory, across organizational boundaries. Collective Craft Haul + Holiday Rant? ?